This is an irresistible combination of flavors. 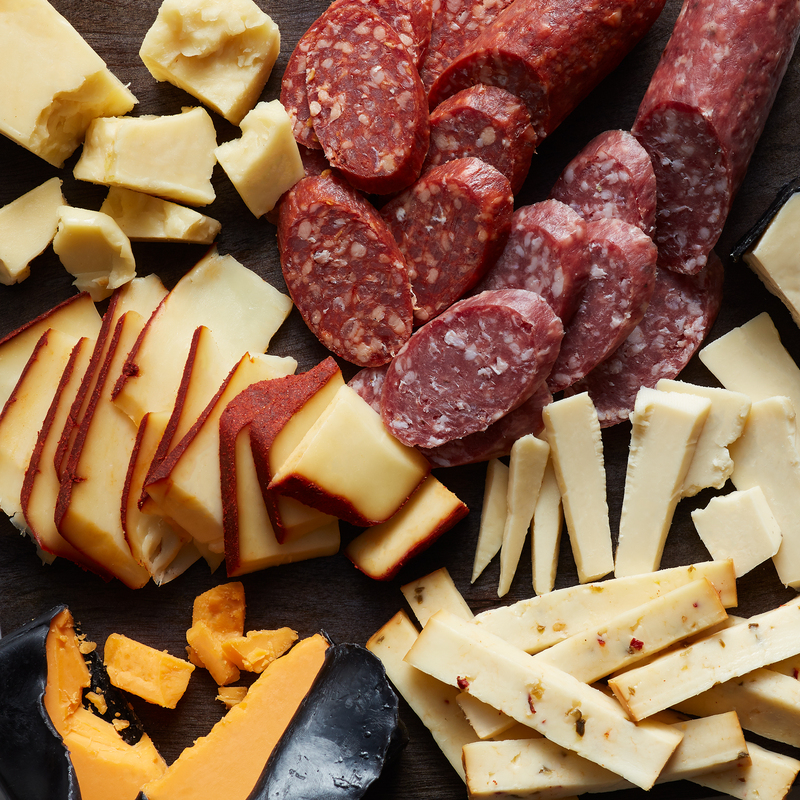 Made from select cuts of pork and signature spices, our Dry Salami and Three Pepper Salami are paired with five different artisan cheeses ranging from mild to sharp in intensity. 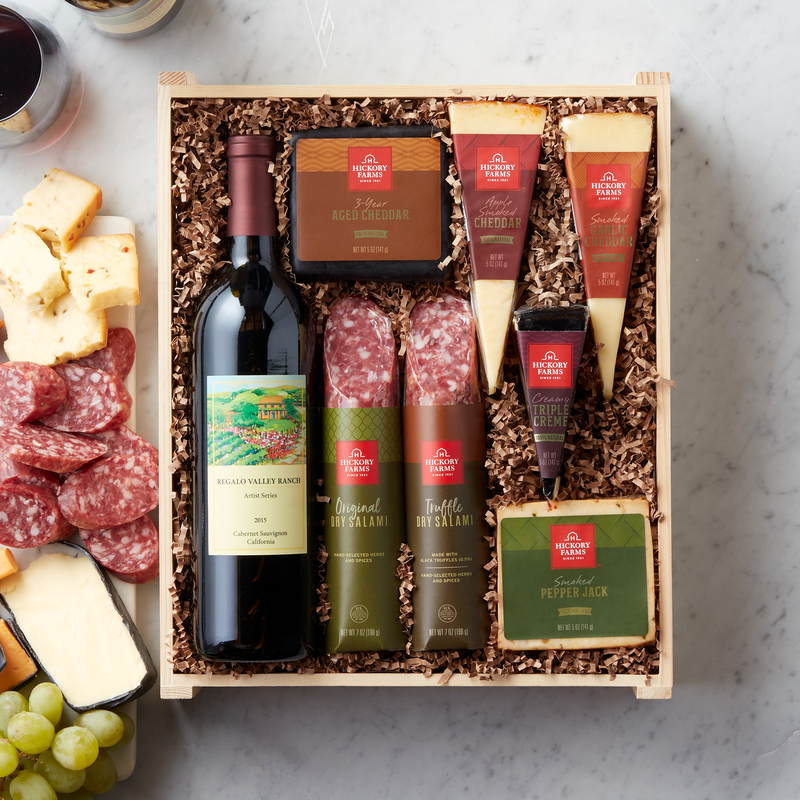 Hand-packed with a bottle of Regalo Valley Cabernet Sauvignon in a reusable crate.